Pro-Cast Products (Highland, CA) was contacted Wednesday morning asking for over 8,000 feet of K-rail to be delivered to the site of the fire near the I-15/SR138 interchange. Within two hours, Pro-Cast assembled a fleet of trucks and two cranes to begin the delivery of product to the scene to aid in traffic management. California’s newest huge wildfire advanced on thousands of homes Wednesday, feeding on drought-stricken vegetation and destroying an untold number of structures as it expanded to nearly 47 square miles. 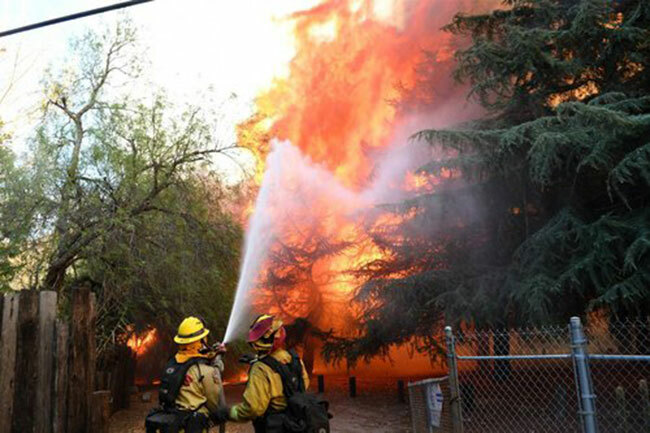 The fire erupted late Tuesday morning in the Cajon Pass, a critical highway and rail corridor. In a fifth year of low rainfall, much of the area is in ‘extreme’ or ‘exceptional’ drought. Pro-Cast Products, Inc. is happy to announce the award of a pre-cast security wall at the T.M. Goodrich power station in Pasadena, CA. 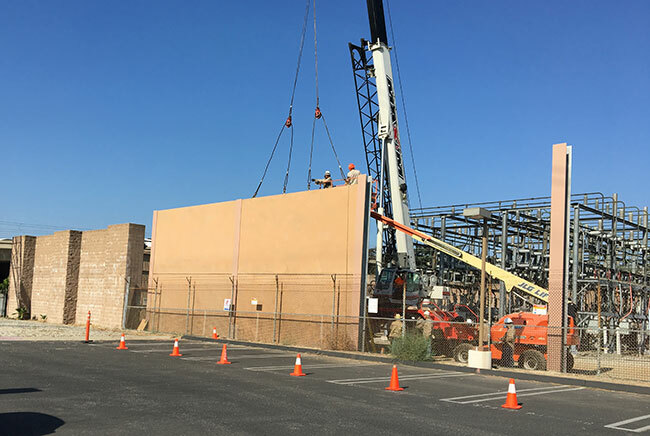 This wall will be replacing an existing chain link and razor wire fence with pre-cast panels that will utilize two, 11foot by 23 foot panels stacked on a grade beam in combination with metal posts providing a much higher level of security as well as a more esthetic appearance overall. The security wall will be comprised of 114 panels circumnavigating the entire facility. This wall will also integrate with an existing CMU entry wall and sliding gate. We are hoping that this will be one of many such installations whereby Pro-Cast Products, Inc. will be able to implement one of several designs to accommodate varying terrain and security requirements at SCE’s various substations across southern California.